COE are ​Security Alarm Installers in Te Awamutu & Cambridge providing quality security systems that are fully customisable to suit nearly any requirement. A massive range of options and add ons including smartphone applications to fully control your security alarm and get notifications back to your smartphone anywhere you have a 3G data connection. For the ultimate in home or work security couple one of our fully installed Arrowhead Security alarm systems with one of our Dahua CCTV systems. 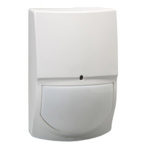 ​Did you know that Security Alarm Systems can be used for far more than just arming and disarming areas protected by motion sensors? ​Speaking with lots of my customers I have found what most people do not realise is that you can do so much more with one of our installed security systems other than just arming and disarming areas with motion sensors. The Arrowhead Alarm systems that we install are so customisable that there are endless possibilities of options and add on modules to do so much more with them. Arm and disarm the alarm from your smart phone using a very easy to use application anywhere there is 3 or 4G coverage. This is such a great add on. If you are on your way to beach or off on holiday overseas you can arm your alarm at any time or if it goes off due to a problem with the system and you are worried it is going to annoy all your neighbours, you can disarm the alarm. Turn on and off Lights around your property; Did you know we can add a relay module and configure the system to allow you to remotely turn on and off lights wired to the system via the smart phone application. Open /Close Garage doors or automated gates; As above we can add your garage doors or gates to the alarm and control by smart phone app or we can configure a hand held remote to arm disarm alarm and open /close garage doors or gates. Auto Arming; This is great if you always forget to arm your shed or workshop or in an office environment. Have your alarm setup to auto arm at a particular time once everyone has left the building. Stay Arming; If you want to feel extra secure at night you can “Stay Arm” your system. This needs to be configured via some extra programming. This allows you to arm certain areas of the house but other sensors will be bi passed allowing you to get to the toilet and kitchen for example without setting off the alarm, but games rooms, offices, or garage areas will instantly sound alarm if entered. If you have young children who may get frightened by a siren going off in the middle of the night, it can be set up to just turn on the out side siren instead or no sirens but just keypad beeps. Customisable settings: Whether you want the alarm to scream very loudly or would prefer a silent alarm notification to your phone we can program a range of options in these systems so let us know what you are needing, and I am sure we can help. Two Alarms for the price of one! ​AAP alarms can be setup in a way that allows the system too be operated as two separate alarms. An example of this is when the main alarm panel is set up at the House or Office with multiple sensors and keypads like a normal system, then we add wireless Keypad and wireless sensors in the out building or workshop. The alarm can be armed disarmed from each end or users can be set up so they can only arm of disarm areas they are allowed to be in. Separate codes can be set up for different users. The possibilities are endless. Give us a call to discuss further in detail. 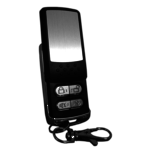 Arrowhead provide an expansion module which allows for adding multiple remotes that can be used to arm and disarm the alarm. We can also add control over your existing garage door so you have one remote to arm/dis-arm alarm and open close garage door. No more messing around with multiple remotes and or rushing to enter in alarm code before alarm goes off. A large range of wired and wireless options are available for multiple sensors, keypads, sirens, gateway alerts and much much more. Control relays can be added to provide even further control with the Arrowhead app to control gates, automatic doors or even lights. 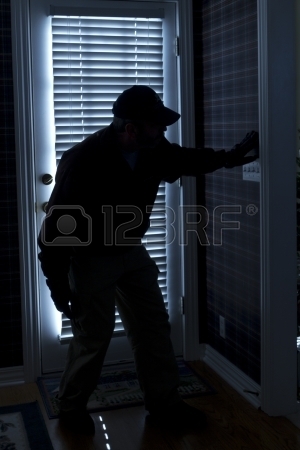 Nothing is guaranteed when it comes to protecting yourself from burglary but if you can put as many obstacles in an intruders way as possible then the chances are they are going to take the easy road and pick the next house down the street. If you have a screaming siren going off then a burglar is not likely to get a chance to go through all of your house and hopefully will be scared off. A well designed security alarm will allow you to access all the parts of the house you require during the night but keep all the vulnerable areas locked down using part arm programming. Panic alarms can be set off from carefully positioned keypads or panic buttons in bedrooms. ​These panics can be setup to be silent and ring a neighbor or friend or they can be set to call the police or fire service directly if you elect to go with a monitored system.